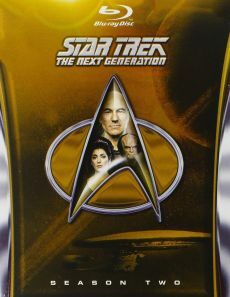 In celebration of the 25th anniversary of TNG's very first broadcast, Paramount-owner CBS began to have the episodes restored in HD-resolution not only for the Blu-Ray release, but also for future TV broadcasts and online distribution. 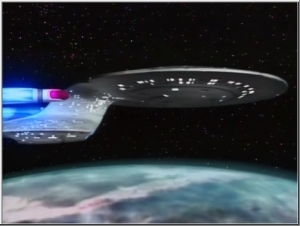 A simple conversion of the final masters is not possible, because those were saved on SD-resolution video tapes, which is why the original film negatives are being rescanned via HD-sampling. 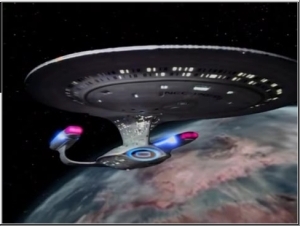 In order to do so, the more than 25,000 original film reels had to be retreived from the Paramount archives and cleaned afterwards. 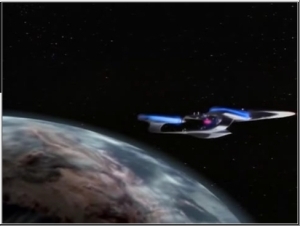 The HD-versions are being created in Fullscreen format, because, among other things, the original visual effects were created for this format. 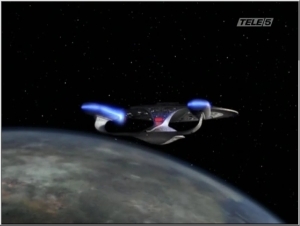 Some special effects such as phaser shots or beaming processes were recreated and not converted. 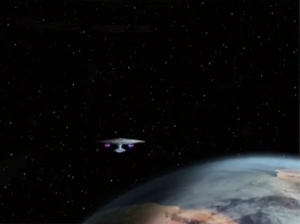 Additionally, perspective mistakes in outer space and wrong shadows have been corrected. 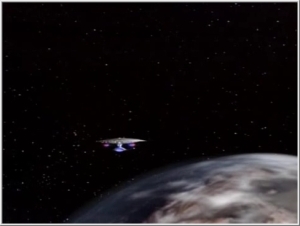 Some matte paintings were redrawn, too. 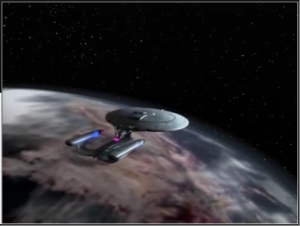 To keep this report clear, repeating effects are not always pictured. 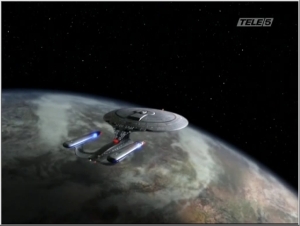 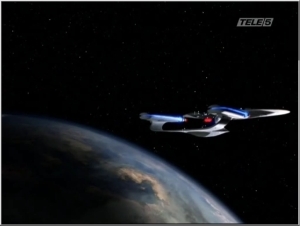 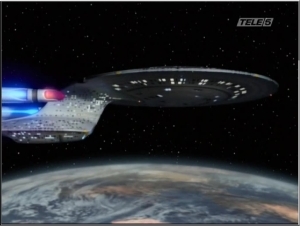 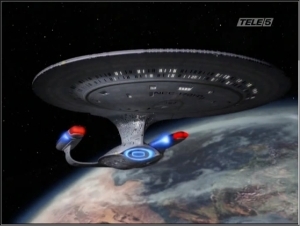 The Enterprise in front of a digitally altered planet. 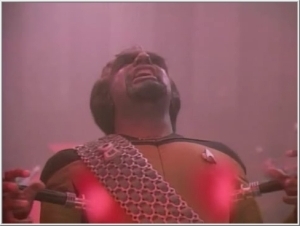 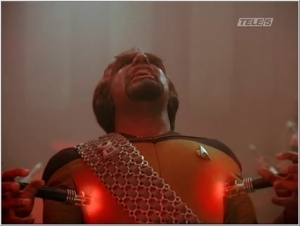 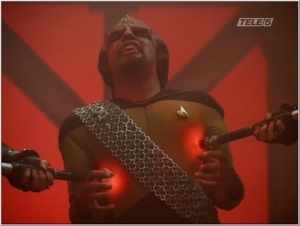 Worf gets a taste of the painstiks. 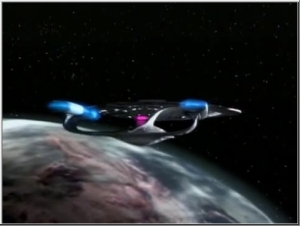 The effect looks much better in the close-up shot than in the long shot. 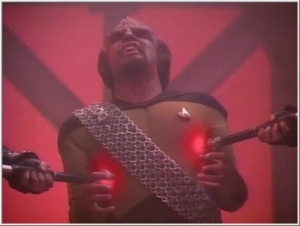 Worf just can't get enough.